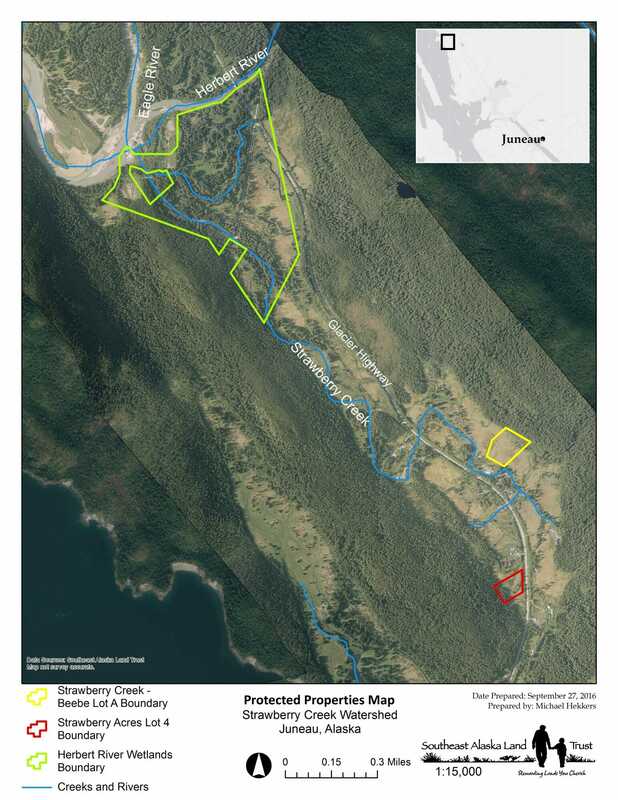 This private property lies in the Strawberry Creek watershed and part of the Juneau’s “Green Zone.” SEAL Trust purchased a conservation easement in 2014 with U.S. Army Corps of Engineers fee in-lieu mitigation funds. The conservation values include its undeveloped muskeg and fen wetlands, which provide important wetland and wildlife habitat, flood control and water purification. 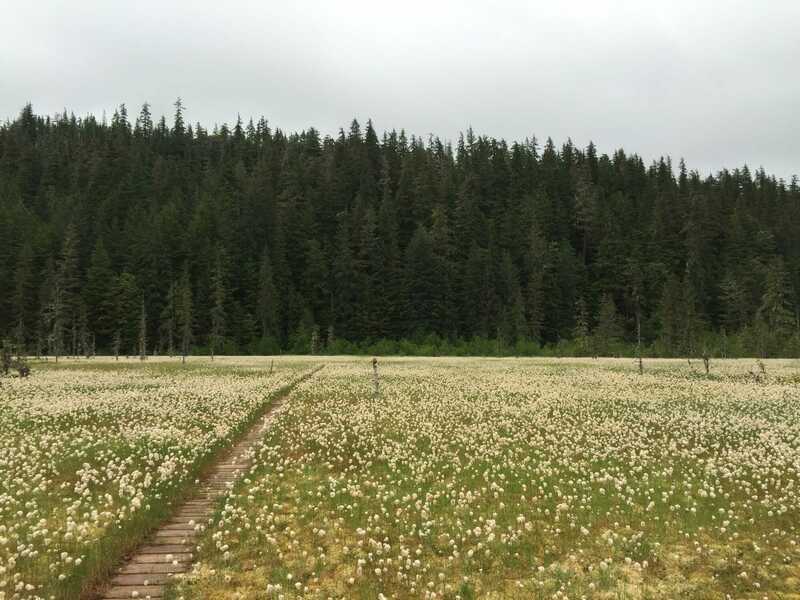 Narrow-leaved cotton grass, buck-bean, yellow-green peat moss, brown-stemmed box moss, and bog laurel can be seen in the photo. Skunk cabbage and bear trails demarcate in the forest fringe. Fen wetlands form by peat accumulation and receive nutrients from precipitation and groundwater. These poorly drained soils produce stable water temperatures and water flow on the fen wetlands that provide ideal rearing and overwintering habitat for a variety of fish species. The low acidity of fen wetlands along with the spatially varied water flow produces a highly diverse plant community. This provides important nesting and feeding habitat for migrant songbirds, waterfowl, and raptors, as well as excellent habitat for both large and small mammals.